Learn More About The Artists and Their Works! "Imagination With Information Brings Transformation." 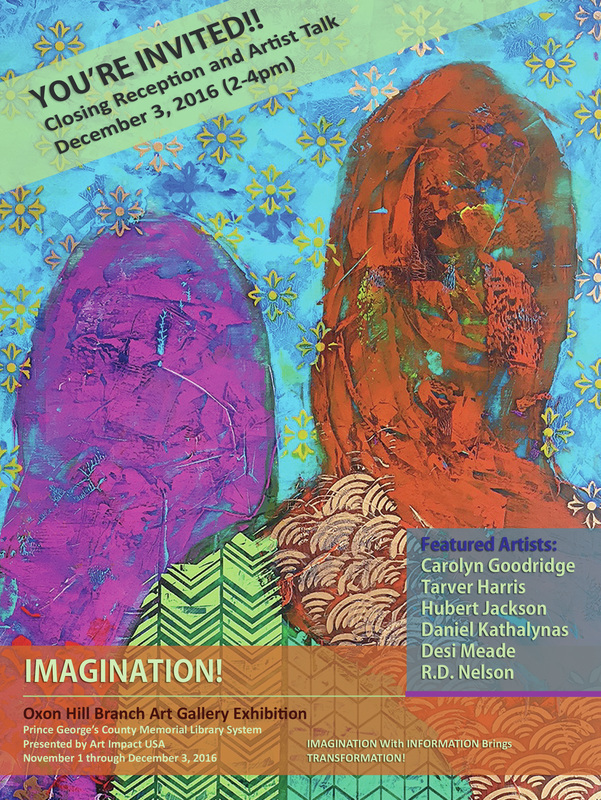 Art Impact USA members invite you to an art exhibition of paintings that deal with the idea, "Imagination with information brings transformation." We want to support the reason for having a library in the first place. Libraries thrive by having visitors. This exhibition helps attract visitors to the Oxon Hill Branch library as being a location that's interesting to visit, as well as a place to learn and be inspired. Artists continue to expand the public's experience of art and how our work reflects what was, is and will be. Let our voices are be heard, visually and literally. Let our community be nurtured through art.